Debit cards are safer than carrying a bunch of cash — and more convenient than writing checks. It's inconvenient to be without your debit card — even if it’s just for a few days. That's why we offer instant issue debit cards. They can be issued at our main office in Lewistown, please call 717-248-5445 for details. Once issued, your new debit card will be ready to use the second you walk out. Say goodbye to mediocre redemption options. 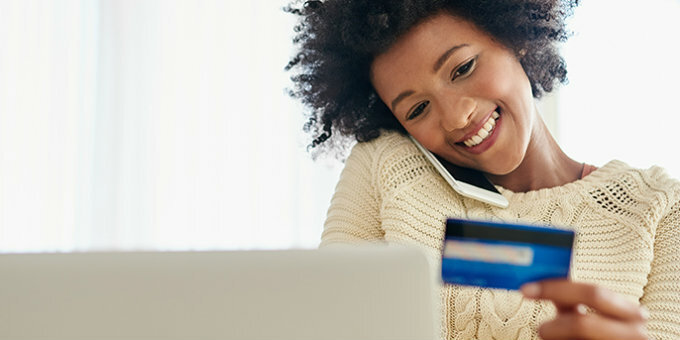 Say hello to uChoose Rewards® — a rewards program that's based on giving you a choice on where to shop and what to get for all the points you earn. If you have an MCS Bank Visa debit card you are already earning points! Just register at www.uchooserewards.com to redeem points. There's never been a better time to start using your MCS Bank Visa debit rewards card for all your day-to-day needs. Earn one (1) point per every $2 you spend each time you sign for purchases using your MCS Bank debit card. Plus, you'll earn additional points when you shop at retailers participating in the program. Play it safe on the go with CardValet®. CardValet allows you to receive notifications on your mobile device to protect your accounts wherever you are.